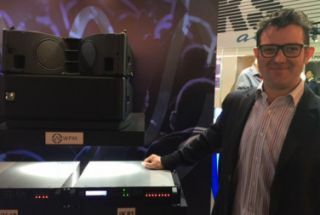 Martin Audio unveiled a range of new products at its Prolight + Sound launch event in Frankfurt, including the Wavefront Precision Series of multi-purpose line arrays. The new line arrays have been designed to bring Martin Audio’s signature sound, coverage consistency and control to a broader range of touring applications, installations and budgets. Comprising the WPC (2 x 10in LF) and WPM (2 x 6.5in LF), Wavefront Precision line arrays are designed as complete systems with the newly announced external iKON multi-channel amplifiers optimised by Martin Audio’s automated DISPLAY software. Adopting the principle of scalable resolution, with external, dedicated multi-channel amplifiers, Wavefront Precision line arrays are designed to be flexible, upgradeable and financially accessible.